​Office 2016 for Mac arrived this month, along with Office Mobile apps for Windows 10, a new universal iOS OneNote app, and more. For business, new compliance capabilities and IT management controls were added, along with enhancements to Yammer and Power Query. On the mobile front, Azure Rights Management is now available for Office for iPad and iPhone, there’s a new app designed for in-and-out email, and the Skype for Business Windows Phone app is here. Enterprise customers can preview the new Skype for Business capabilities, and teachers and students can now move back and forth between Office 365 and Moodle or Open edX without logging in each time. For developers, the new edition of the monthly Office 365 Dev Digest is out, Office 365 channels are live, and The Office Dev Show has begun. Leave us a comment to let us know what your favorite new feature is. If you missed last month’s updates, see What’s new: June 2015. New chart types available in Office 2016 Preview—Now you have more ways to explore data and tell rich stories across Excel, Word and PowerPoint. Six powerful new charts help you quickly visualize common financial, statistical and hierarchical data: Waterfall, Histogram, Pareto, Box & Whisker, Treemap and Sunburst. Office 2016 for Mac is here—The new versions of Word, Excel, PowerPoint, Outlook and OneNote—each with major updates—give Mac users the familiar Office experience paired with the best of Mac. Office for Mac is cloud-connected, for quick access to your documents on any device, and it’s available in 139 countries and 16 languages. Office 365 subscribers can get the newest version of Office for Mac today. OneNote updates for iOS and Android—Now there’s a universal iOS OneNote app that works on both iPad and iPhone. iPad users need to get the new OneNote app from the store; iPhone users already have it. With the new app, iPad users have some of the recent updates made to the iPhone app, like the Today Widget and Recent Notes. The updated OneNote for Android app introduces one of the top feature asks—the ability to move or copy pages from one section or notebook to another. WYSIWYG editing in Office Mix quizzes and polls—You’re no longer limited in Office Mix to asking questions that can be typed on a QWERTY keyboard. With WYSIWIG editing support in quizzes and polls, you can type mathematical and scientific formulas. Even if you’re not a math or science teacher, you now have a lot more freedom to include images, tables, bulleted and numbered lists, and special characters in quiz and poll questions in your Office Mixes. Office Mobile apps for Windows 10 are here!—The Office Mobile apps—Word, Excel, PowerPoint and OneNote—give you on-the-go productivity on Windows 10 tablets and small screen devices, with full fidelity viewing. The apps are fully cloud connected, and your docs are now automatically saved for you. Plus, new features, like Tell Me, make it easier for you to do what you want. You can download and install the apps from the new Windows Store today in 190 countries. Preview of new Skype for Business services in Office 365—Office 365 enterprise customers can register for three technical previews of the new Skype for Business voice and meetings capabilities in Office 365: Skype Meeting Broadcast, PSTN Conferencing and Cloud PBX with PSTN Calling. Later this year, with strategic partners, direct connections to Office 365 Skype for Business customers will be delivered through Azure ExpressRoute for Office 365. Office 365 now offers integration with educational open source software—Now teachers and students can move back and forth between Office 365 and Moodle or Open edX without the need to log in each time. For example, if you’re logged in to Office 365 and working on a Word document, you can easily upload the document to Moodle as an assignment. You can also allow Moodle or Open edX to appear in the My Apps app launcher within Office 365, synchronize your Outlook calendars to a Moodle course calendar, embed an Office Mix in Moodle, and more. Compliance toolset for public folders—The Office 365 archiving and eDiscovery toolset is being extended to include public folders. You can now place public folder content on hold to preserve it for legal or regulatory requirements and perform eDiscovery functions on public folder data, including search, preview and export. Entire public folders or specific content can be preserved immutably, and all administrative activities on public folders are fully audited. Skype for Business Windows Phone app is here!—The new app includes many enhancements, including an intuitive interface, more emoticons and improved server communications. The enhanced security with at-rest data encryption means your conversation history and voicemail are encrypted by default. And your recent conversations are now synchronized across devices, whether they took place on your PC, tablet or phone, as long as you’re running the latest server software. Find out how you can upgrade. New activity logging and reporting capabilities for Office 365—The new activity logging and reporting capabilities provide even greater visibility into actions taken on your content and greater control over access to your data in Office 365. 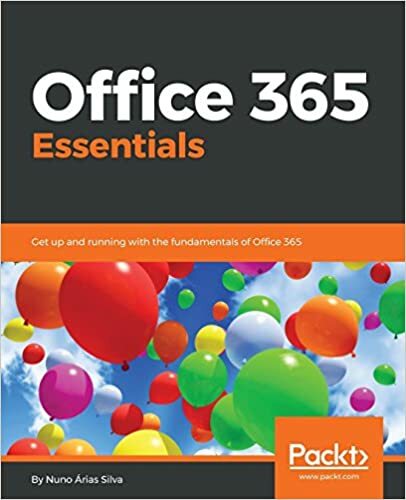 They include: the Office 365 activity report to investigate a user’s activity, comprehensive logging capability for user and admin activity events, the Search PowerShell command or cmdlet, and a preview of the Office 365 Management Activity API. Power Query for Excel updates—The recently added or improved features include: improvements to the ODBC Connector, Navigator dialog improvements, an option to enable Fast Data Load versus Background Data Load, support for Salesforce Custom environments in Recent Sources list, easier parsing of Date or Time values out of a Text column with Date/Time information, and a new Unpivot Other Columns entry in the column context menu. New IT management controls added to OneDrive for Business—The new management options to protect and control the flow of your information include: limiting file sync to domain-joined PCs, auditing all actions taken against files, setting storage quotas, and preventing unintentional sharing to “Everyone” or “All Users.” Read what the new controls can do and take a walk through them with Office Mechanics to learn how to implement them. Document collaboration in Yammer just got better!—Deeper integration with Office Online makes it easier than ever to incorporate document collaboration into teamwork. Click the Edit File link in Yammer and a new browser tab opens with a full-screen view of the document. You can make changes directly in the document using Office Online, and they’re automatically saved in Yammer. You can also now share and work on files with external participants. And with integration with Office 365, the reliability and performance of document collaboration in Yammer has improved. Tips to get started using the Mobile Device Management (MDM) feature for Office 365—It’s easy to get this built-in feature up and running to manage and secure mobile devices when they’re connected to your Office 365 organization. Learn how to set up MDM for Office 365, configure Security Groups and Device policies, enroll devices, and wipe enrolled devices and run reports. Office 365 channels are live on IFTTT—When you activate the Office 365 channels—Mail, OneDrive for Business, Calendar and Contacts—you can automate what happens with your Office 365 data to increase productivity. For example, you can create Recipes to program activities, like automatically saving a photo to OneDrive for Business or sharing that a new Office 365 contact was added to your team’s Trello board or Slack team. Check out the Office 365 sample Recipes to help you get started. Introducing Send—the app designed for in-and-out email—Send is a new app built for sending your coworkers quick, brief messages—no signatures, subject lines or salutations required. The app connects to Office 365 business and school email accounts to surface your frequent and recent contacts and enables you to have all of your communications in Outlook for reference later. Send is available for iPhone in the U.S. and Canada, and is coming soon to Windows Phone and Android phones. Azure Rights Management support comes to Office for iPad and iPhone—Azure Rights Management provides an easy way to protect data by assigning a policy to the data available in Office 2013, Office 2010 and Office for Mac. Now this policy-driven protection is available in Office for iPad and on iPhone devices, so you can view rights-protected Office documents natively on your iOS devices. Windows 10 updates for Office 365 admins—IT admins can benefit from Windows, Office and Azure Active Directory integration in three areas: joining Windows 10 to Azure Active Directory for single sign-on (SSO) to Office 365 and other services, using the Business Store portal in Windows Store to deliver Office apps, and adding Windows 10 devices to Mobile Device Management for Office 365. Read the blog post and watch the video to find out how. Office 365 Dev Digest for July—Stay up to date with what’s new in Office 365 development. Read the digest for the latest dev news, like one-click access to third-party apps and the new Office Dev Show. Get new and updated documentation, code samples, and patterns and practices samples, plus links to podcasts, blog posts, videos about companies using Office add-ins to extend the value of Office, and upcoming events. A new way to keep up with all the Office 365 Dev news, tips and tricks—Watch The Office Dev Show, a new dedicated Channel 9 show devoted to all things Office 365 dev-related! The show, hosted by Sonya Koptyev, will include guests from the Office 365 Extensibility engineering team and key community members. It will feature new code and capabilities added for devs to customize the Office platform, including desktop, online and mobile versions, as well as a “Get Started” series on building on the platform. The show airs weekly, on Wednesdays.